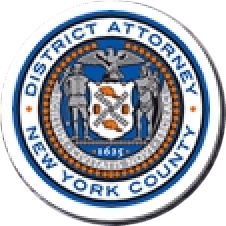 Manhattan District Attorney Cyrus R. Vance, Jr., today announced the sentencing of LLOYD MCKENZIE, 39, to 85 years-to-life in state prison for the murder of Brandon Woodard in December 2012. On July 28, 2017, MCKENZIE was convicted by a New York State Supreme Court jury of Murder in the Second Degree for his role in orchestrating the fatal daytime shooting on the sidewalk of West 58th Street, and acting as the getaway driver. The shooting stemmed from a major interstate drug conspiracy, for which MCKENZIE was also convicted of Operating as a Major Trafficker and Conspiracy in the Second Degree, among other charges. Co-defendants DARRYL MASON, 53, LATURE IRVIN SR., 45, and MICHAEL WISDOM, 41, were convicted of charges including Conspiracy in the Second Degree for their roles in the drug operation. As proven at trial, between August and December of 2012, the four defendants engaged in a bicoastal conspiracy to sell large quantities of cocaine. Over the course of the conspiracy – orchestrated on the East Coast by MCKENZIE – the defendants shipped multiple kilograms of cocaine from Los Angeles to New York City. Typically, MASON, working on the West Coast, supplied cocaine to IRVIN SR. to be shipped to New York. IRVIN SR. packaged and shipped the cocaine to addresses in Queens provided by MCKENZIE and WISDOM. The packages of cocaine were then picked up by WISDOM and other co-conspirators to be resold in New York. Further, as proven at trial, at approximately 2 p.m. on December 10, 2012, MCKENZIE arranged to meet Brandon Woodard on West 58th Street near Seventh Avenue, and drove an unapprehended individual to the area in a rental car. The individual exited the car, shot Mr. Woodard from behind once in the back of his neck, and fled in the car being driven by MCKENZIE. The victim died at the scene. Assistant District Attorneys Christopher Prevost and Jon Veiga, Deputy Chiefs of the Violent Criminal Enterprise Unit, handled the prosecution of this case under the supervision of Assistant District Attorney Christopher Ryan, Chief of the Violent Criminal Enterprises Unit, and Executive District Attorney John Irwin, Chief of the Trial Division. Senior Investigative Analyst Stephanie Littell provided valuable assistance with the case. District Attorney Vance thanked members of the NYPD’s Midtown North Detective Squad, Manhattan South Homicide Squad, and the Los Angeles Interagency Metropolitan Police Apprehension Crime Task Force (L.A. IMPACT).